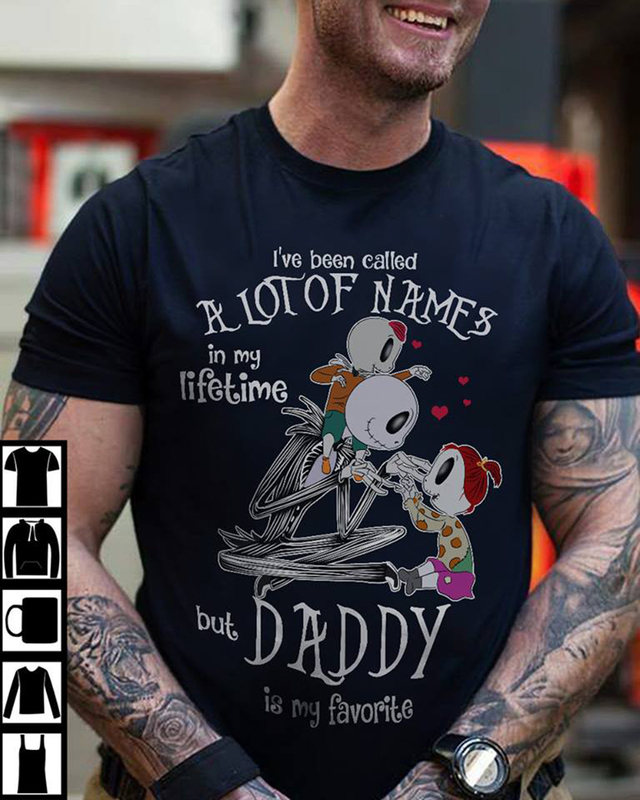 Full quote: “I’ve been called a lot of names in my lifetime but daddy is my favorite shirt”. We have another design: Nightmare mom shirt, But In this shirt you can see Jack Skellington and his children’s in nightmare before christmas movie (Nightmare family). Love this shirt then click on the green button to buy it.